Mustang has been collaborating with Workrite Uniform Company (now part of VF Imagewear), since 2005 on a variety of marketing efforts — from strategy development, public relations and media planning to website design and advertising creative. Each year, some of our biggest projects surround the NSC Congress & Expo, Workrite Uniform’s most important trade show. And in 2017, Workrite Uniform turned to us to help them make an even bigger splash than usual. One of Workrite Uniform’s major fabric partners was celebrating its 50th anniversary — a milestone Workrite Uniform’s trade show presence would need to acknowledge. Workrite Uniform was launching four new products, and NSC offered a perfect platform to feature each of them. One of Workrite Uniform’s clothing brands recently underwent rebranding, and NSC was a key opportunity to showcase the new look. To ensure Workrite Uniform was able to leverage NSC to its fullest marketing potential — with the aforementioned considerations in mind — Mustang provided a full-day photo shoot, booth design, catalogs, sell sheets, promotional videos, stylized garment hang tags and public relations outreach. Across all of these efforts, our team collaborated to be sure each piece we created consistently reflected Workrite Uniform’s brand — from the look of the design and imagery to each and every word of copy. 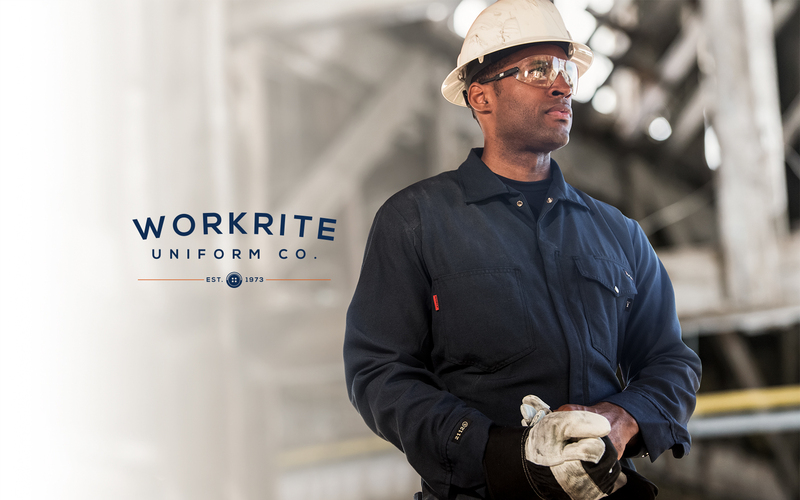 Workrite Uniform received an overwhelmingly positive response at NSC. The booth was filled with engaged customers asking questions about the company’s new products and offering compliments on the booth itself. And, in the days following the trade show, order after order came pouring in. Nothing like an excellent return on investment (ROI) to indicate a job well done!